There’s something magical that happens every time you stand still to watch a sunset. The world, for those few seconds seems to stand still. As you watch the big sky come alight with bright and brilliant colour, although only lasting only but a moment before the darkness sets in - you are filled with hope that a new day will come as a reminder of how beautiful it is to be alive. However, the five sunset spots on this list are diverse and special. 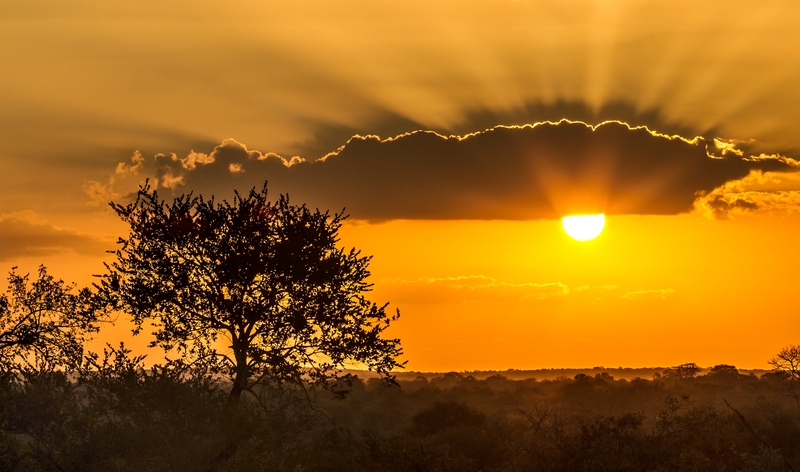 Plan holiday to Botswana and Zimbabwe to enjoy this virtual sunset. 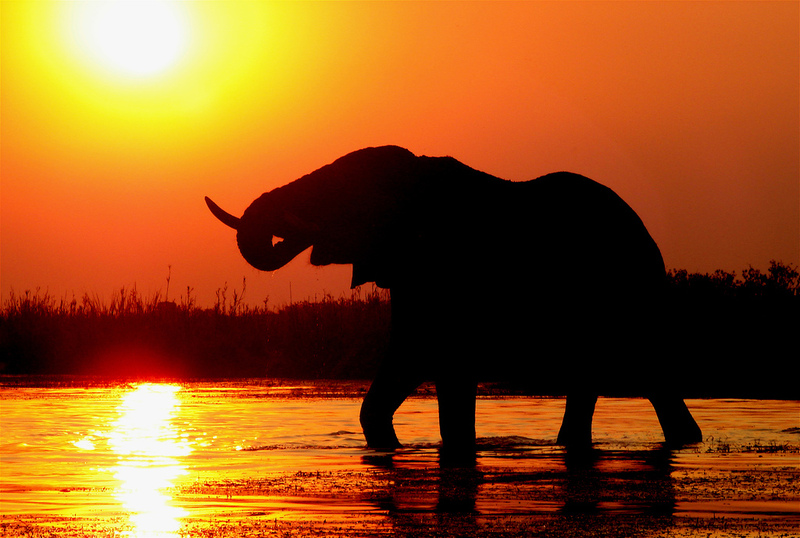 At the Kruger National Park, you will explore sunset drives. These drives leave the camp before dusk and return after sunset lasting around three hours. However, search for grazers in the cool afternoon and predators starting their nightly hunts. Sunset is a time when night animals emerge and a drive during this period is the perfect opportunity to witness the beauty of the bush as it changed from day to night. Learn more about fauna and flora from expert guides and return to the camp with a spot-lit night drive. The sand dunes of Sossusvlei in the Namib Desert are often referred to as the highest dunes in the world. Various arguments are laid out to support this claim, but all miss the point - which is that Sossusvlei is surely one of the most spectacular sights in Namibia. Located in the Namib Naukluft Park, the largest conservation area in Africa and fourth largest in the world - the sand dunes at Sossusvlei is just one excellent reason to visit Namibia. The best thing about Sossusvlei view, is that is it close to sunrise and sunset - the colours are strong and constantly changing, allowing for wonderful photographic opportunities. However, the midday heat is intense and best spent in the shade. The sunset cruises vary in boat size. 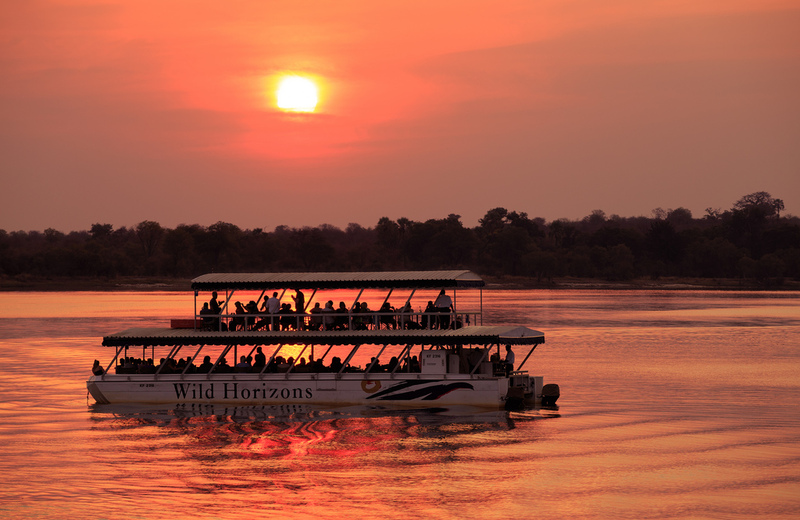 The cruise begins with a safety briefing shortly after launching and then typically journeys up Zambezi River towards the Zambezi National Park. There are plenty of crocodiles and hippos to be seen and the bird life is quite spectacular. Watch elephants along the banks or if you’re extremely lucky - you will also spot elephants swimming or snorkelling across the river. Sunset cruises arrive back after sunset. However, the boat sighting of elephants, giraffe and even rhino coming down to the river to drink are common. During your sunset cruise, you will enjoy freshly baked snacks and some cool drinks. 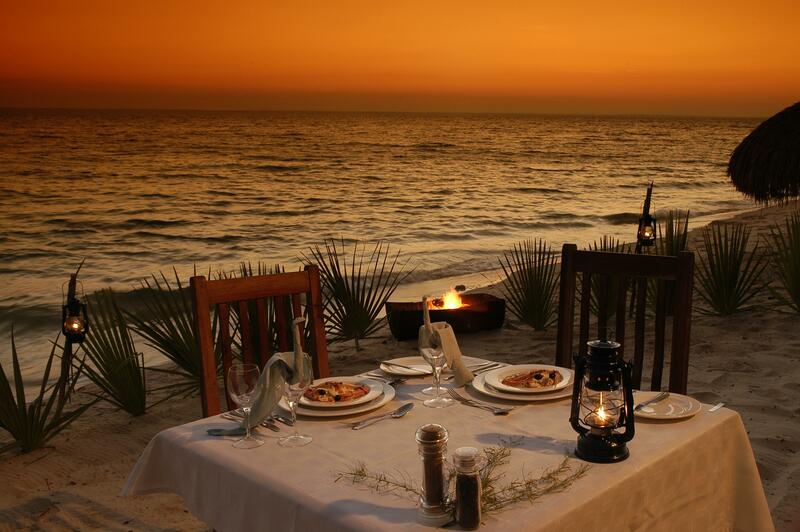 Dugong Beach Lodge is situated along the Southern Mozambique Coast, within 30,000 hectares of pristine marine and wildlife territory in the Vilanculos Coastal & Wildlife Sanctuary. Enjoy sundowner dhow cruise after your drink requirement have been taken. The boat departs at 16h30 from the lodge and follows the channel south to Marape fishing village. Along the way, you will see nature unfold and watch the sunset. However, the boat can accommodate up to eight guests. Chobe River forms the northern boundary of the Chobe National Park as well as much of Botswana’s border with Namibia’s Caprivi Strip. The Chobe River is an integral part of the Botswana safari experience and combines easily with the Okavango Delta and Kalahari. The river can also be accessed from the Namibian side and its proximity close to the Victoria Falls - meaning easy day trips both ways. Only a few dozen kilometres of riverfront are accessible, either by 4x4 or boat, but the rewards are huge. The Chobe River is the scene of some best game viewing in the Southern Africa as well as providing a safe heaven of the continent’s greatest concentration of elephants. However, you will see massive concentrations of animals during the green summer months, but the resident wildlife are hippos, crocodiles, antelope, species and predators. Bird watching amazing during the dry winter period. However during the summer season expect to witness approximately 500 bird species.